Unlocking the Apple iPhone has been a very big and confusing issue all the time for people who have bought locked pieces and some networks do not accept the phone settings although the Unlocking process went successfully. This wastes time, and a few times its too risky as phone’s settings would be lost unknowingly. So for those whom the unlocking process is still troublesome, you can try with Unlocked apple iPhone, which offers you a very easy and fast unlocking process and helps you unlock any service SIM cards in couple of minutes time. There is a video provided as a proof and procedure of how the unlock process goes on successfully. Of course the service is not free of cost, but still its worth the purchase and it saves a lot of time that people spend on unsuccessful trials of iPhone unlock, which can sometime be wrong for your phone. 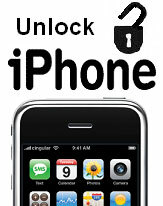 Unlocked Apple iPhone strives to bring the best quality unlocking SIM cards to the public. We guarantee our SIM cards will fully unlock your iPhone and will provide a full refund if we can’t get that accomplished. We work closely with developers to ensure our customers have the latest SIM card that can unlock the latest iPhone version and firmware. The company actually provides a SIM card which is thinner than the original network SIM and it has to be placed behind the network SIM and just inserting and playing with the network settings for couple of minutes would complete the unlocking process. This service, similar to the iPhone SIM unlock process, provides a SIM and nothing more than that. Its not going to play or hack your device. You can trust the service and its SIM device. The service costs $29.95 and the shipping of SIM is totally free. There is no loss of your apps data, or memory, when using the SIM and unlocking the iPhone. You can check out the service at unlockedappleiphone.com! Hmm I don’t think that many people will trust this right?